As we explained back when the show was announced last year, Disenchantment is a fantasy series about a “hard-drinking young princess” named Bean who hangs around with her “feisty elf companion” Elfo and her “personal demon” Luci. Together, they learn how to “keep laughing in a world full of suffering and idiots.” Abbi Jacobson stars as Bean, with nat Faxon playing Elfo and Eric Andre playing Luci. A number of familiar voices from Futurama will also pop up, including John DiMaggio, Billy West, and Maurice LaMarche—though it would honestly be bigger news if the three of them didn’t pop up in a cartoon show. The first 10 episodes of Disenchantment will premiere on Netflix on August 17. 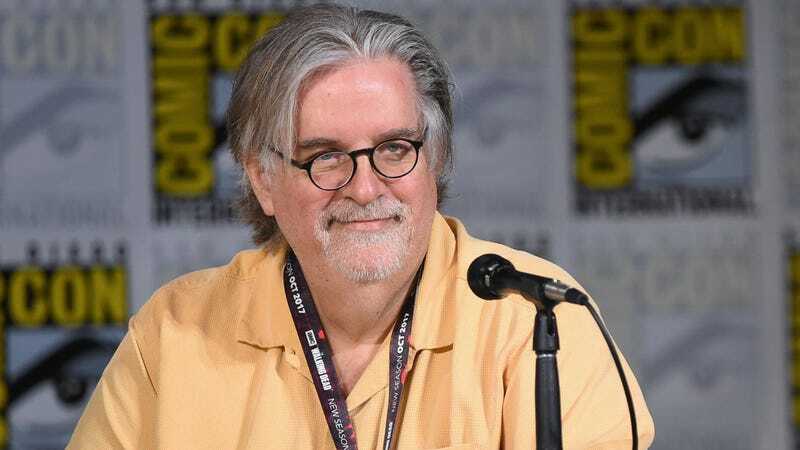 Matt Groening says Apu critics "love to pretend to be offended"